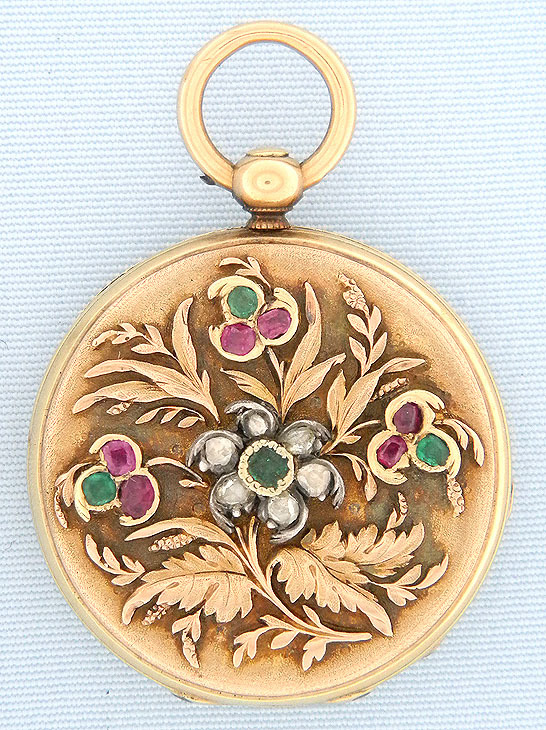 Fine, beautiful and very scarce early tiny Patek Philippe 18K gold, diamond, ruby and emerald ladies pendant watch with certificate circa 1841. 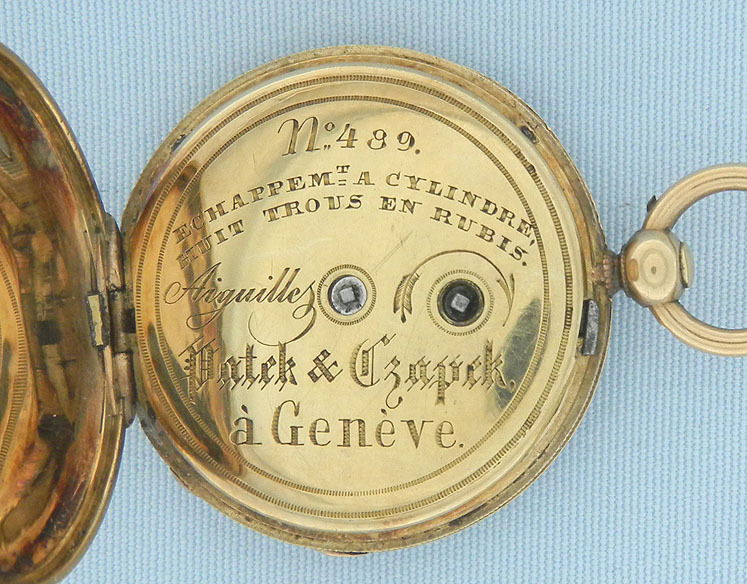 The case back with a chased stone set floral motif. Missing lift spring. 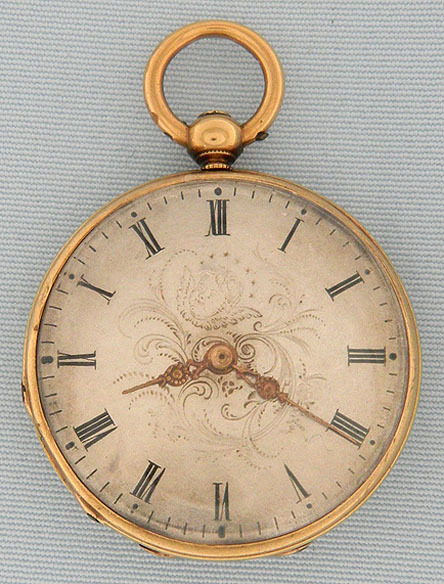 Original engraved silver dial with fancy gold hands. 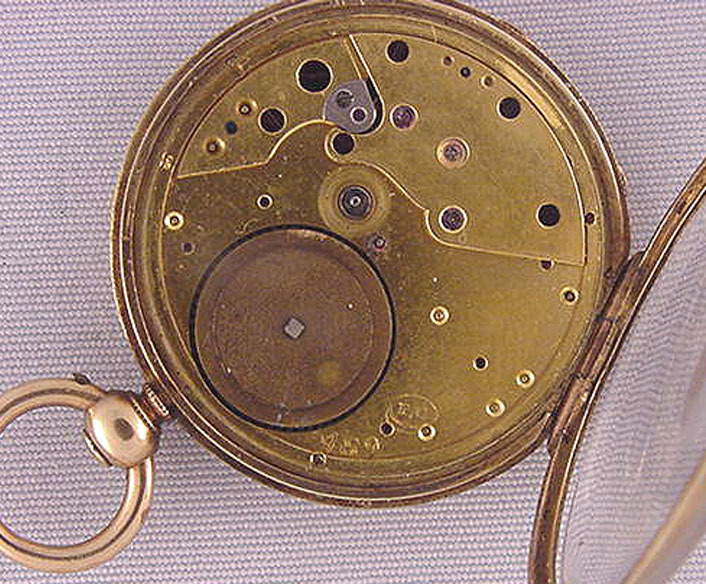 Gilt 10 jewel cylinder movement with CP stamp and serial number under the dial. 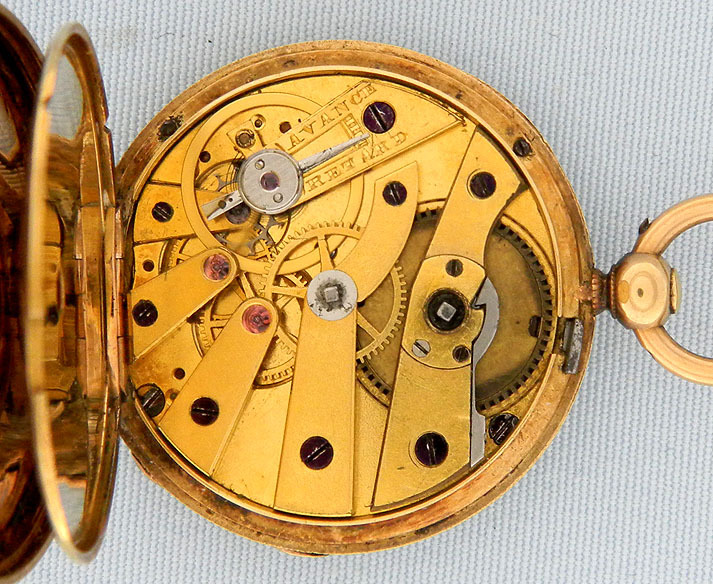 Patek, Czapel & Co., the precursor of Patek Philippe, was founded in 1839. 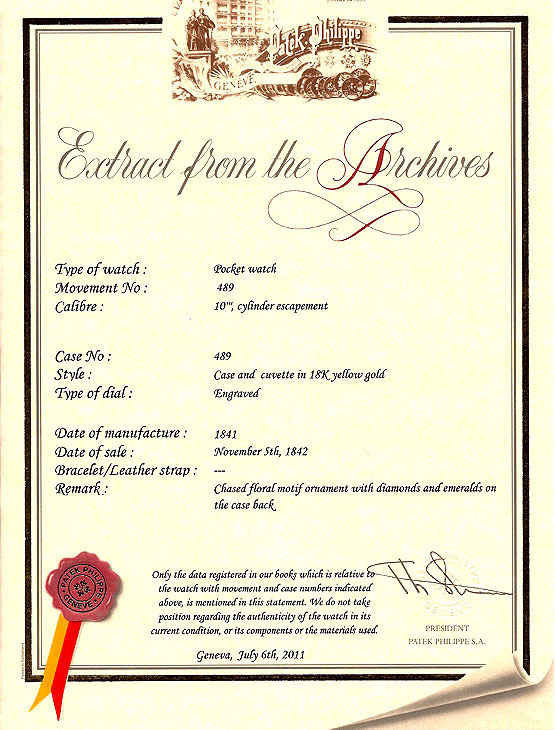 This watch, number 489, is one of their earliest products.